"Hi, I'm Kat, the Executive Director of the Peaceful Warriors Project and today I would like to invite you to join us in this community funding effort, Living History: Veterans Interviews. As a Veteran myself, I feel it is the responsibility of every American Community to remember honor and capture the stories of its Veterans. With this project we recognize our brave vets, hoping to inspire communities to forge a closer connection with them and discover new and shining heroes. Today we are asking for your help to raise funds so that we can continue to film our Veterans incredible stories for public television and public radio. Please watch the Veterans Interviews and share this site. I know each and everyone of us enjoys our freedoms and that's due to the brave men and women of the United States Military. We owe it to our Veterans to show our appreciation and to hear their stories of their contributions during and after their service. Please donate now. Your contribution will help preserve our Veterans stories, and every dollar counts. Again on behalf of Peaceful Warriors Project, we thank you for your support"
~ Kat Legg, Executive Director,Peaceful Warriors Project - US Army 1986-1989.
and see what others are saying about the Veterans in their families. "This is a wonderful project you have here. I know soldiers that fought in World War II, and though they’re a generation or two ahead of me, I am aware that they hardly ever speak of their difficulties overseas. I do know a really romantic story that’s part of my family history. 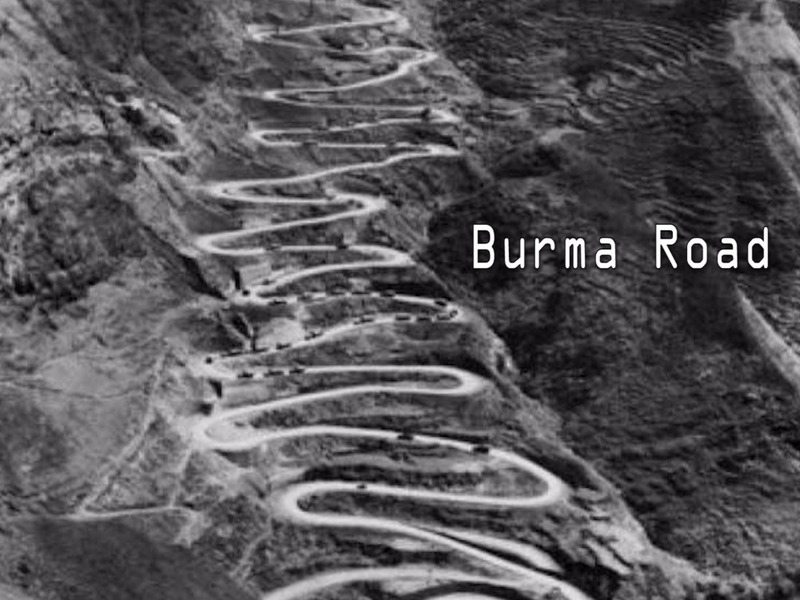 My uncle helped build the Burma Road. It was a horrific experience because he led convoys over its treacherous mountain paths. The road was so winding and rough in itself that the American Army had its hands full just to attempt to deliver supplies. As the enemy forces sought to prevent this, their fire upon my uncle and his men was sustained and relentless. He'd leave his point of departure with thirty trucks, then look back and there’d only be twenty, then fifteen, eight or six, then three. One young soldier arrived at their destination with a head of stark white hair. However, it wasn't a total loss. My uncle survived to serve in Burma, China and other Asian ports – and that’s where he met my aunt who was a Red Cross nurse. They fell in love and were married till death, in old age, did them part . . . and I'm not even sure they were parted then." There are over 20 million Veterans in America today and approximately a 1,000 Veterans are dying each day. There is an urgent need to collect the personal accounts of their experiences while they are still among us. The Interviews These Veteran Interviews are creating a stronger sense of cohesion and inclusiveness in our community. iMichigan Productions is proud to record and share these amazing stories and to be an agent of healing as Veterans talk about their service experiences. iMichigan Productions is a 501(c) (3) incorporated in the State of Michigan by media professionals with over 80 years of collective experience in the classroom and behind the lens. We started the project with a small grant from MCACA and we would like to continue to record, preserve and share these Veteran Stories on Public Television and Public Radio, iMichigan Productions and Peaceful Warriors Project websites, YouTube and Social Media sites like Facebook & Twitter. iMichigan Productions' Peaceful Warriors Project celebrates the music of US Veterans and acknowledges their contributions to culture. It also tells compelling stories with Living History:Veterans Interviews which will be donated to the Library of Congress' Veterans History Project.